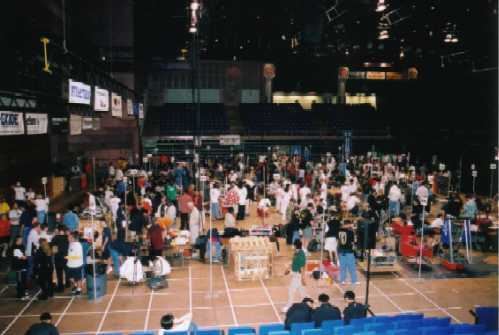 "The Pit " is an area where all teams are designated a 10' X 10' square to repair and work on their robot. 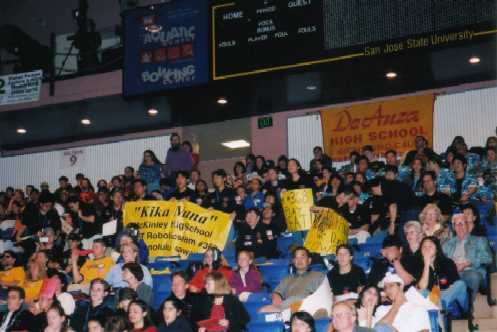 The pictures above were taken from the actual regional competition in San Jose, California. 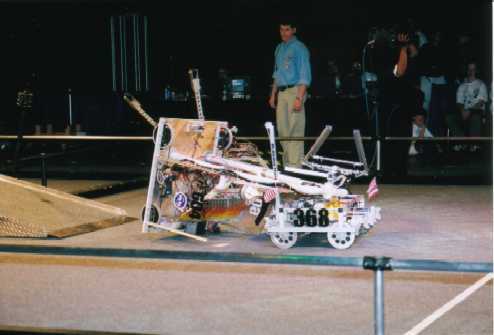 This year, McKinley was seeded 7th after the qualification rounds and placed 3rd overall out of 53 teams. 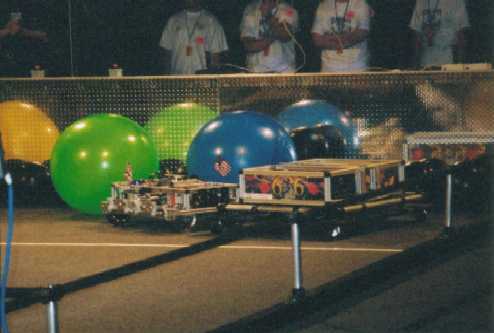 The FIRST robotics competition is like any other sporting event. Teams have their own mascot, band, and cheering squad. This year, Kika Mana won the Daimler Chrysler Team Spirit Award because of their extraordinary partnership between the students and mentors, and their representation of the Aloha Spirit.